Funeral services for Mr. Charles Davis, age 88, are scheduled for 11 a.m. Saturday, April 7, 2018 at St. Mary CME Temple. Rev. Diane Nelson-Neal will be officiating under the direction of Loche’s Mortuary, Inc. The Interment will follow the services in Howell Cemetery. Wake services will be held on Friday evening, April 6, 2018 from 5:00 p.m. to 7:00 p.m. at Mt. Sinai-Williams Temple CME Church in Collinston, LA. Mr. Davis retired from International Paper Company after working 40 years in the Finishing and Shipping Department. He was a faithful member, Steward, and Trustee of Mt. Sinai Williams Temple CME Church. God quietly called him home on Friday, March 30, 2018 at his home in Bastrop. He loved his family and enjoyed spending time with them. His favorite hobbies were simply washing his cars and relaxing in front of the TV "resting his eyes." He is survived by his wife of sixty-four years, Gladys Moore Davis; a daughter, Felicia Davis Gavin(Vern) of Clinton, MS; four sons, Nigel Davis(Ola) of Kansas City, MO, Demetrius Davis(Brenda) of Bastrop, LA, Calvin Johnson of Eldorado, AR, and Andre Griffin(Linda )of Minneapolis, MN; his step-mother, Beulah Davis of Bastrop, three brothers, Eddie Davis(Arzeria) of Spring, TX, Clyde Davis(Cora), of Los Angeles California, and Richard Davis(Gloria) also of Los Angeles, CA, and one sister, Faye Butler of Los Angeles, CA; one step-brother, Billie Dunn of Bastrop, LA; a sister in law, Gloria Davis of San Francisco, CA; 11 grandchildren, 8 great grandchildren, and a host of other relatives and friends. 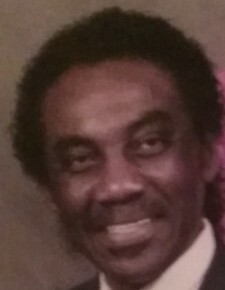 Mr. Davis is preceded in death by his father, Charlie Davis; his mother, Minnie Young; a son, Tyrone Davis; and a brother, Franklin Davis.